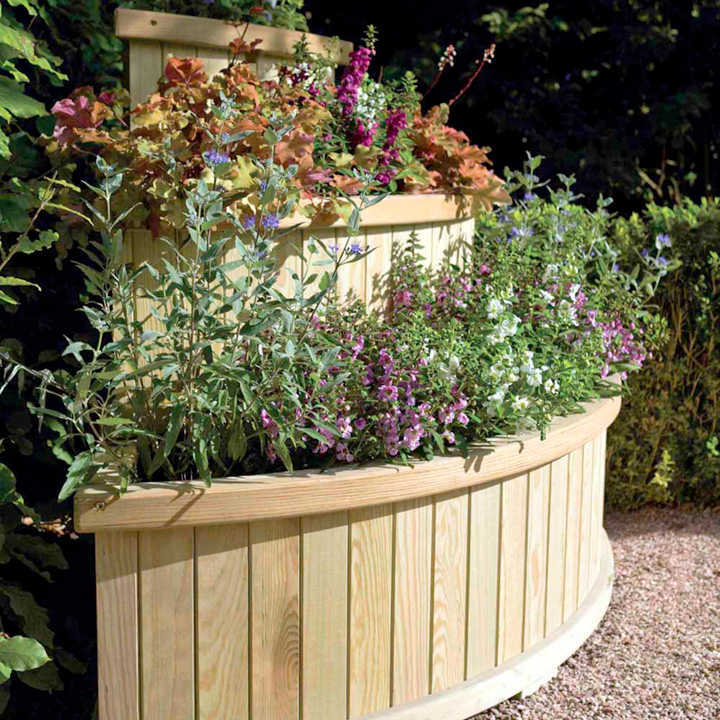 This superb planter has an attractive three tier design and a natural timber finish that will complement any outdoor space. 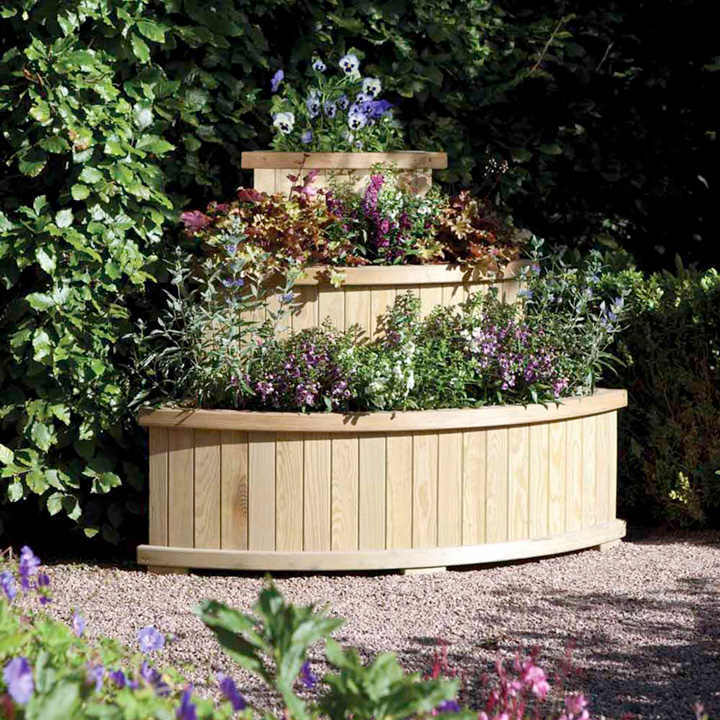 Constructed from pressure treated timber, which is highly resistant to rot and insects, it will last for years to come.Versatile and easily portable, it can be quickly and conveniently placed in a location of your choice. It fits neatly into a corner and can be used together or as three separate planters. 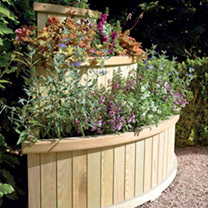 Liner included, to protect the timber structure. Measures 122cm (4'4") wide x 82cm (2'8¼") deep x 102cm (3’4¼”) high.